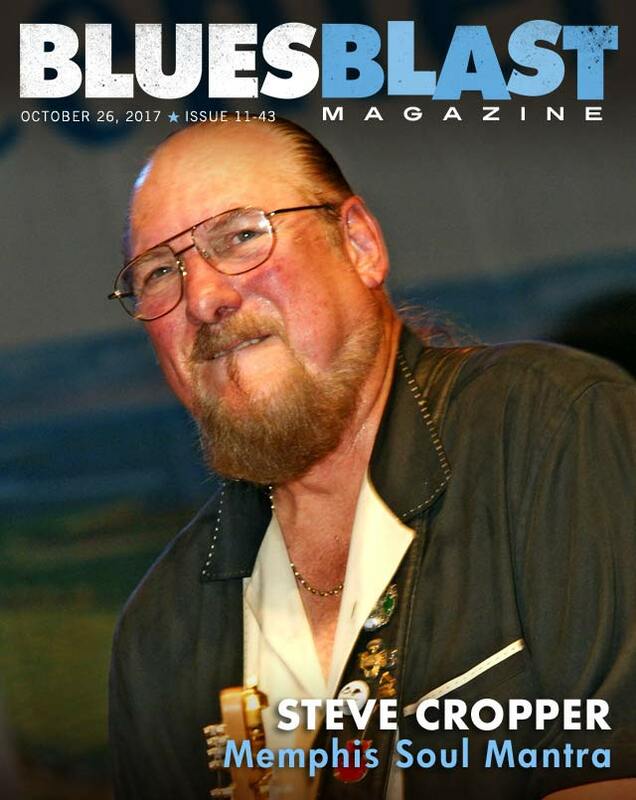 Don Wilcock has our feature interview with Steve Cropper. 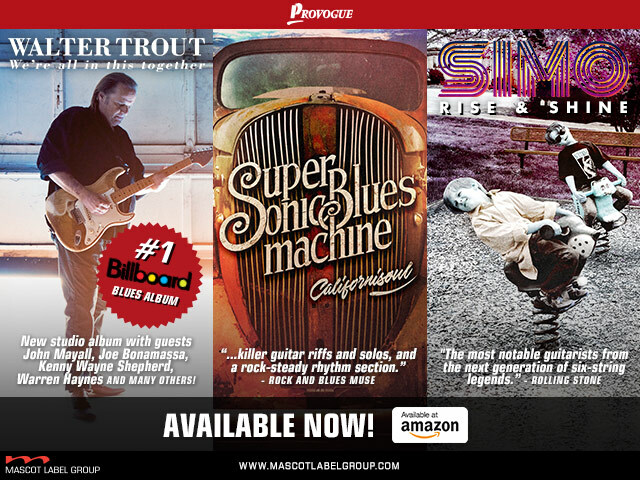 We have 8 Blues reviews for you this week including new music from The Forrest McDonald Band, Riff Diamond, Paul DeLay Band, Joakim Tinderholt, Halley DeVestern Band, Paul Demon, Mama SpanX and The Billy Jones Band. Forrest McDonald delivers another outstanding collection of modern blues with a Southern soul feel with Stand My Ground. But that should come as no surprise to anyone who’s been following the career of the skillful guitarist/songwriter. Aided by smoky-sweet vocalist Becky Wright, he delivers more of the good-time music that’s kept him busy for the past five decades. 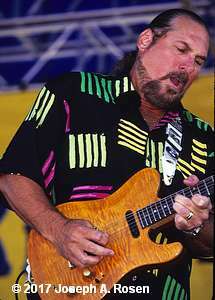 A native of Austin, Texas, but a member of the Boston Rock ‘n’ Roll Hall Of Fame, McDonald grew up in southeastern New England immersed at home in music. His love for the blues began at age seven at the Newport Folk Festival when he experienced Josh White on stage in the early ’60s. Later, he hitchhiked to New York, where he got to meet Muddy Waters, and he was a member of two popular regional bands before joining Boston Rock Symphony, an 11-piece ensemble that fronted Arthur Fielder and the Boston Symphony Orchestra, later in the decade. Around the same time Forrest joined Wadsworth Mansion, a group that toured with Edgar Winter and also appeared on American Bandstand, thanks to their Top 20 hit, “Mary’s Coming Home.” But major fame came after he moved to the West Coast, where he played behind Bonnie Bramlett and Kathi McDonald and where he was a first-call studio musician. A man who’s relocated frequently, McDonald was in Alabama to visit his father when his dad suggested they stop by the nearby Muscle Shoals Sound Studio “to see what was going on.” Friendship with studio personnel quickly resulted when he dazzled them with his playing after they asked if he’d brought along his axe. That brief encounter led to Forrest laying down the guitar part for Bob Seger’s monster hit, “Old Time Rock & Roll,” a few weeks later and Bobby Womack, and it also led to a stint in the legendary Muscle Shoals Rhythm Section. McDonald launched his own World Talent Records in 1991 and has been pursuing a solo career ever since with 13 CDs and frequent studio work to his credit. Now based in Virginia, he rips and runs throughout Stand My Ground, but doesn’t hesitate to fall into the background in support of Wright, who supplies all of the vocals on this one, which features 11 originals and two covers. They’re backed by a veteran ensemble that includes Pix Ensign on harmonica, Lee Gammon on bass and John Hanes on drums. They’re augmented by drummers Jon McKnight and Rob Robertie, guitarists Barry Richman and Valery Lunichkin, harp player Little Ronnie Owens and Jon Liebman, organist Rich Ianucci, and sax players Jeff Shellof and Chuck Williams. Simple solitary strumming opens “Guitar String Blues,” which quickly erupts in a syncopated walk as Becky describes the feelings she has after her man’s left — and taken everything with him, including the strings off her guitar. Forrest’s brief mid-tune solo and tasty responses to her vocals throughout put his talents on display. “Chicken Scratch Boogie,” an uptempo pleaser, describes the singer’s love-making talents before a cover of Screamin’ Jay Hawkins’ classic, “I Put A Spell On You,” delivered as a burning ballad. A military drumbeat and accompanying harp line introduces the title tune “Stand My Ground,” which deals with having to leave town to get away from a man who puts the singer down, while “Turnaround Blues” describes the pain a woman feels after learning her guy loves her no more. McDonald shines on “Certified Blue,” a slow-tempo number that continues the message forward. This time, the lady feels she’s being used. Apparently, all the abuse above leaves the lady feeling that “I Am A Stone,” the next tune. But she recovers well as stated in “The Feeling Is Gone,” which follows. An uptempo cover of Big Joe Turner’s “Piney Brown” is up next, driven by Liebman’s harp intro, before another ballad, “River Of Tears” — the only thing the singer has left after crying over the man who broke her heart. The rapid-fire “Take It To The Top” sings praise of someone who’s proven himself to be more than a one-night stand. The good feelings continue as the couple plan a night of dancing in “Till The Morning Light” before “Riding On The Blues Train” pulls into the station and brings the CD to a close. 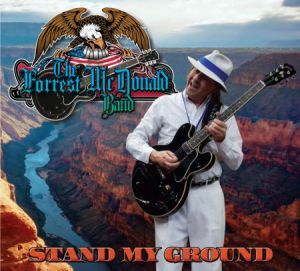 Stand My Ground is a rock-solid, well-paced group effort. McDonald’s an immensely talented string bender who’s comfortable enough in his talent to give plenty of space to his singer and fellow musicians throughout, and his songwriting talents put new spins on familiar themes throughout. And Wright is just as talented on vocals. 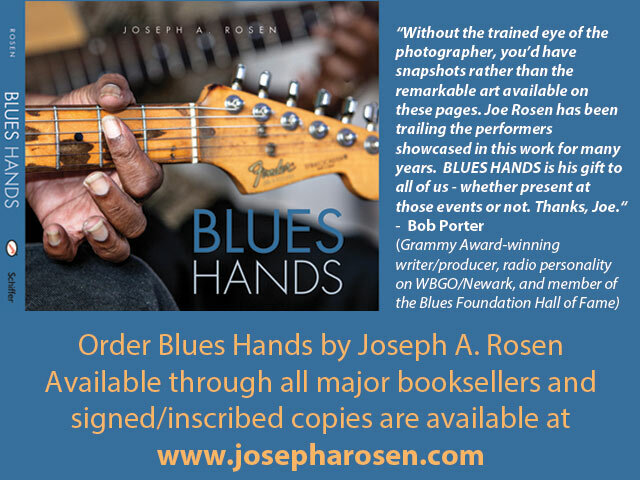 Available through CDBaby and direct from the artist’s website (address above), it’ll be a welcome addition to anyone who wants their blues modern with an old-school feel. Hailing from Northern Ireland, Riff Diamond is a rocking, young blues band with a big sound. Becky Baxter (Vocals) and Conal “Tone Monster” O’Donoghue (Guitar) met up online in a Join My Band forum and began playing in 2014. They were 16 and 14 respectively. Drummer John McNulty heard of the sessions via a friend and joined in the fun, and then they “found” bassist Shauna McGarrity later in the year who was an immediate fit for them. They enjoyed doing covers and began writing some songs and were picked up to open for some larger acts, so they decided to officially become a band. The band was involved in writing 9 of the 11 tracks and cover “Whole Lotta Love” and “Hey Joe.” The songs are Janis Joplin-esque heavy rock songs with blues influences with a power trio backing a singer. “Shadow Man” is a driving rocker with huge vocals by Baxter. “Masquerade” is a mid-tempo rocker, like a slower Gracie Slick/Jefferson Airplane sort of cut. 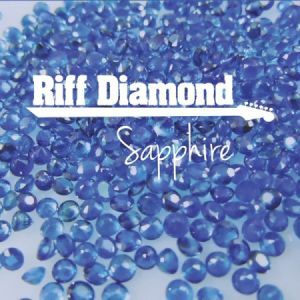 “Diamond Heart” is a down tempo rock anthem that builds from lower keyed guitar solos to high powered vocals. “29 Days” is a rock ballad of sorts with Baxter holding back and thoughtful fills by the band. “Kick in the Teeth” picks it up and is more of an in your face rock style with a moderate groove and big vocals that builds as it progresses. Next is “Phoenix,” more up tempo and with a big guitar attack. The first cover is the Willie Dixon/Led Zeppelin song. The instrumental parts begin as straight up Led Zep with some effects and the vocals lack the distortion and just feature Becky’s powerful voice with some echo on the choruses. The solos they go off in a semi-psychedelic style. Conal’s brother Dan appears on harp, too. “Count Me Out” is a restrained rocker followed by the band letting loose on “I Promise You.” The final original cut is “Love Hate.” It’s got somewhat of a tribal beat and original approach to the melodic lines. There is lots of guitar here, too. “Hey Joe” closes the set; the guitar intro is familiar territory. The harp returns for some interesting effects behind the vocals, playing an alternate melody. The guitar solo is almost funky and the harp plays behind that, too, as it does throughout. These kids/young adults are a great little rock band with roots in the late 1960’s sound. They, like many bands today, try to classify themselves as a blues or blues rock band, but what is presented here is essentially all rock. It’s well done, but it’s not really blues. I enjoyed the album as it was. The vocals are solid and stratospheric, the guitar is excellent and the backline is tight. 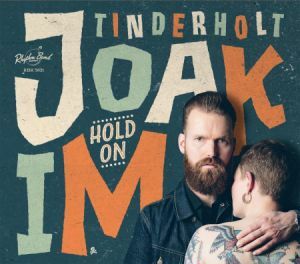 The original songs hearken back to my era as a teen and are interesting and well crafted. Not a bad rock band, but don’t expect too much (if any) blues if you pick this one up. Paul DeLay passed away in 2007 so it is strangely appropriate that this CD, recorded ten years before his death, should see the light of day ten years after his passing. 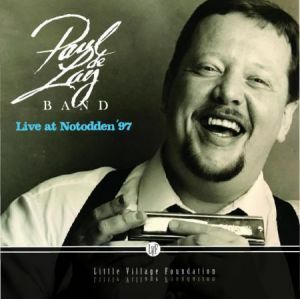 Paul’s band had traveled to Norway in 1997, given a great performance and were flattered to find that they had been recorded and one of their tunes had appeared alongside BB King, Luther Allison and Robert Cray on a commemorative disc of the festival. It was years later that two members of the band thought to inquire whether tapes still existed of the whole performance and the Norwegians responded in the affirmative. So, after all these years we have a new Paul DeLay recording to enjoy. Paul came from the Pacific Northwest and his high quality band of the time was based in Portland, Oregon. Alongside Paul’s harmonica and vocals we have Louis Pain on B3, Peter Damman on guitar, Dan Fincher on guitar, Mike Klobas on drums and John Mazzocco on bass. Paul wrote all the material here bar one Muddy Waters cover, the members of the band chipping in on a few tunes. After a short introduction we are straight into the short “Come On With It” which acts as a warm-up for the band. Initial sound quality problems improve on “Wealthy Man” in which Paul declares that he may not be rich but he is doing fine with his girl’s affections while Peter lays down a fine solo. Dan Fincher’s sax is a great asset on all the material here, adding depth to the arrangements and joining Paul in creating what sounds at times like a horn section and his work is impressive on “Nice and Strong” which also features John’s bass to strong effect. Above all what comes out strongly here is Paul’s personality, not only in his exuberant playing but also in his obvious delight at the reception he is getting and his humorous asides. In a section entitled “Paul Speaks” he introduces the band and then apologizes for his appearance, caused by British Airways’ loss of his luggage (very embarrassing for a Brit reviewer!). The sole cover follows, an extended reading of the slow Muddy Waters blues “Come Home Baby” which features Paul’s mellow harp work. “Rainy Marie” adds some Cajun rhythms and “I Can’t Quit You No” keeps the band rocking. The pace drops for “What Went Wrong”, a soulful ballad about a deteriorating relationship which Paul sings well with Peter and Dan playing well in unison but things get rocking again on the bouncing shuffle “Say What You Mean”. Paul introduces “I Know What You Mean” in humorous fashion and it provides an interesting tune with John’s bubbling bass and Louis’ organ stabs providing great support for Peter to cut loose on his solo. The song also gives Paul plenty of opportunity to have fun with his vocals, as can be heard by his chuckles at the end. The touching “I’m Gonna Miss Talking To You” is an emotional ballad with lovely playing from the whole band, a song that was clearly written with a broken romance in mind but now takes on a different dimension when you think of Paul’s untimely passing. “Love On A Roll” is a barn-storming finale that has solos for everybody though Paul sounds like he is suffering vocally at the end of the show. The many fans of Paul DeLay’s playing will be delighted that these tapes were recovered to make a fine memorial to his playing and personality. The band is based in NYC and this is their third release, the previous one Fabbo! Boffo! Smasho! 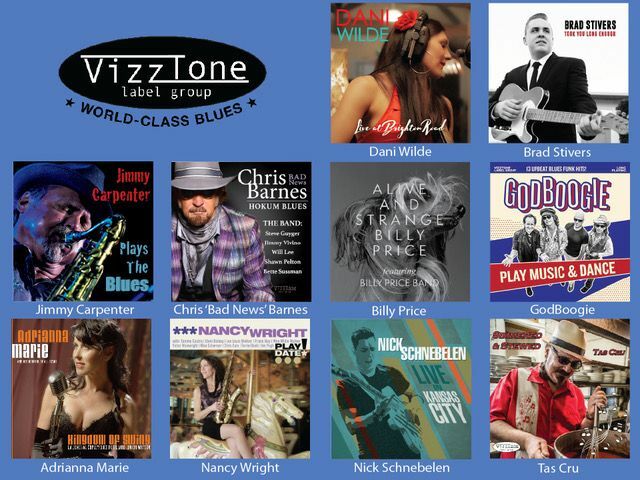 (also an EP) having been described as ‘balls-to-the-wall Blues Rock Funk with a splash of Swampaloo’, so blues fans have been warned that blues is only a small part of what the band play! 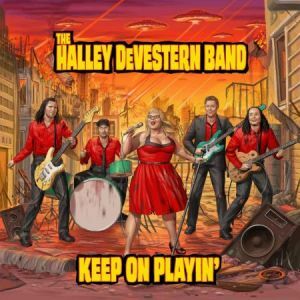 Halley handles lead vocals with Steve Jabas and David Patterson on guitars and keys, Tom Heinig on bass and Rick Kulsar on drums; everyone contributes backing vocals. All the material is original, Halley and Tom writing four of the songs and the whole band credited on the title track. “Keep On Playin’” sets out in Southern Rock style with some attractive slide work but the song itself seemingly runs out of inspiration with endless repetition of the title towards the end. “Time For You To Light Things” has a funk base with plenty of harmony vocals and an element of rap while the gentlest tune here, “Bangin’” takes us into a sort of AOR sound (think Heart). “Song In You” sounds very 80’s pop with lots of synth work and pure rock guitar solos; “Hit Twice” starts promisingly with some swampy slide but Halley’s histrionic vocals are really over the top. Halley did sing with Big Brother & The Holding Company for a spell and the disc demonstrates that she has the sort of big voice and personality that audiences often like but there is little or no real blues content here. 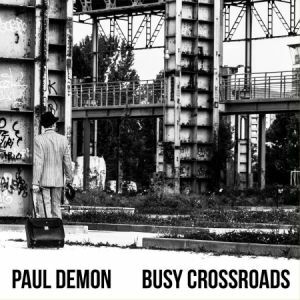 Italian harmonica player-singer Paolo Demontis appears on his new CD as Paul Demon, a more bluesy sounding moniker. I reviewed his unique approach to the blues on his previous release “Loopin’ The Blues” which was released under his given name. He carries on his one man band of vocals, harmonica, percussion and loop station here as well. His way with a harmonica is very well informed and inventive while keeping it bluesy. The loop station and only having a pretty steady beat throughout most songs it limits his style considerably. He manages to vary his harp style enough to keep the music as fresh as possible. His accent makes deciphering some of the lyrics a challenge to say the least. 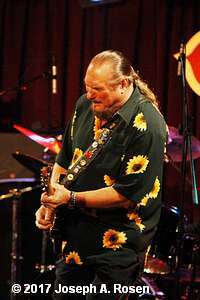 Many of his songs fall into the incessant beat category, such as “Wake Up” and “Loopin’ The Blues”. “I Hear Woohoo” is an instrumental with mouthed sounds, much like a modern day Sonny Terry. Paul adopts a jazzy virtuosic sound on parts of “Fine Girl” and “I Wanna Be The Devil”, similar to what Charlie Musselwhite does occasionally. 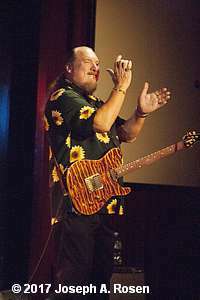 He reverts to harmonica imitations on “Lucky Chicken” and “Loop Train Blues”, utilizing one harmonica for the underlying beat while he plays over the top on it. Your guess is as good as mine as to what “Starfish” is about. What sounds like clicking noises made from his mouth are utilized along with a boogie beat on “Koko Boogie”, where he pulls out his “boogie” voice. 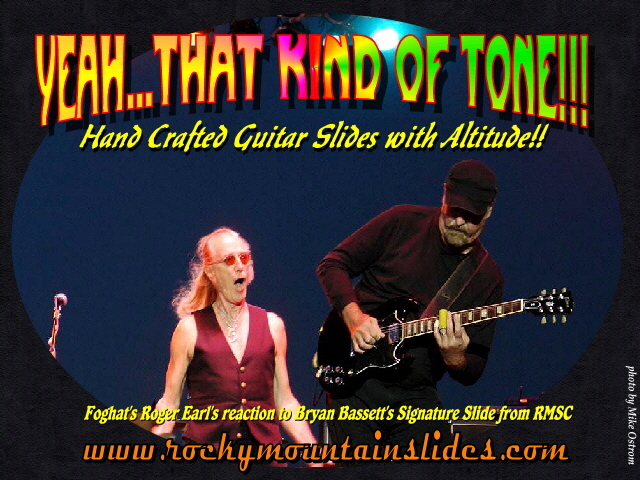 On “Alright Babe” and “Rocking” he uses an echo on his harmonica to great effect. Paul’s harmonica skills can’t be denied, but after two CDs of much the same, it may well be time to add a few musicians into the mix. The absence of guitars is refreshing, but using a real drummer would give more flexibility to the rhythms. Taken in small doses his music is rewarding, but the similar approach throughout tends to get monotonous. His ideas and execution are intriguing, but perhaps it is time for him to flesh out his sound, while still maintaining his creativity and originality. Opened minded people would be advised to keep track of his further endeavors. 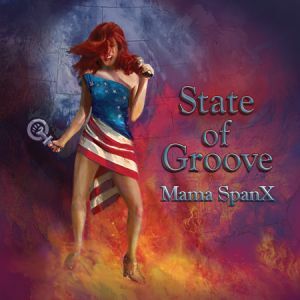 Mama SpanX are a funk/soul/rock/pop band led by singer, songwriter and New York Blues Hall of Fame inductee, Nikki Armstrong. Having originally kicked around the idea of the band with the late soul-jazz guitarist Melvin Sparks (who coined the band name), Armstrong finally began pulling the band together in 2015. The opening track, “Rocket”, perfectly sets out Mama SpanX’s stall. With a rock solid groove, funky horns, Armstrong’s top drawer blues voice, great dueling saxophone solos from Julie Sax and Steve Sadd and a rock guitar solo from Steve Johnson, the song shifts through various key changes before suddenly launching into the stratosphere as it explodes into a James Brown-style gospel breakdown. It is immediately apparent that Mama SpanX have chops to spare but also retain the precious ability to craft clever songs. Armstrong herself wrote or co-wrote 11 of the songs on State of Groove, the sole cover being an updated version of Lou Donaldson’s 1967 hit, “Alligator Boogie” (to which Armstrong added additional lyrics). She has a particular knack for coming up with catchy choruses, such as in “Thinkin’, where one finds oneself excited for the verse to end, knowing what is about to happen. Armstrong has a magnificent voice, warm and powerful, with an endearing lived-in edge to it, and she is superbly supported by her band. 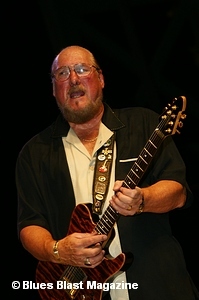 In addition to Armstrong, Mama SpanX features Steve Johnson on guitars, Harlan Spector on organ and piano, Julie Sax on alto and bari-saxophone, flute and backing vocals, Steve Sadd on tenor and soprano sax, David Abercrombie on bass, “Uncle ” Ben Beckley on drums (and piano on “Anywhere You Are”). There are also guest appearances by Russ Mullen (trumpet and trombone), John “Beedo” Dzubak, Sr (vocals on “Let’s Roll”), Stewart Cole (trumpet solo on “Anywhere You Are”) and Rob Chaseman (percussion programming on “Black & White”). There is more than a hint of the 1970s in songs like “Black And White” and “All Around The World”, partly in the chord structures, partly in the lavish production and smart backing vocals, but primarily in the easy virtuosity of the musicians. In an era when the pernicious devaluation of music as a valuable art form shows no sign of abating, it is both refreshing and encouraging to hear an album like this. The musicians successfully run that delicate balance between being a musical wizard whilst never over-shadowing the song and the music. The album title is spot on – groove is absolutely key to every song on State of Groove – but so are melody, technical excellence and passion. There is also a fine sense of humor on display, as evidenced by the sound of an old-fashioned needle being placed on a record that book-ends the album. This is proudly retro-modern music. Despite Armstrong’s impressive blues resume, there isn’t a huge amount of blues on State of Groove. There is however a lot to enjoy on this album. If you revel in the soul-funk-pop of the likes of Tower of Power, James Brown and Sly & The Family Stone, you will find much to appreciate here. Based out of Jacksonville, Arkansas, the band is a four-piece with Billy on lead vocals and guitar, Corey Bray on keys, Rev. ‘Do Dirty’ Kendrick on bass and Mark Flinoil on drums. Billy wrote six of the songs here with covers of two soul tunes, one country piece and a little known jazz tune, of which more anon. 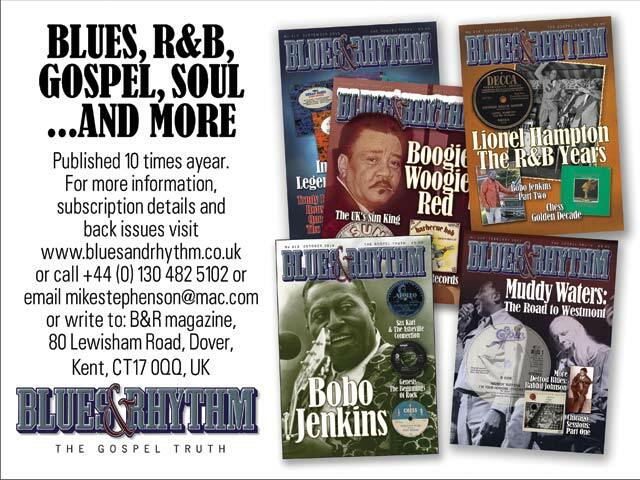 The general style here does match the title with blues and soul both present and correct. Billy has a convincing soul and blues voice and plays some solid guitar though he is prone to ‘over-excitement’, leading to some grungy, discordant guitar on occasion. Two contrasting songs open the album: “My Love Is Real” is a mid-tempo soul tune with synth horns from keyboardist Corey and nice slide from Bily who doubles up on guitar for the solo section; “Someone New” is a classic soul ballad with gentle chords and rippling piano underpinning some aching lead work from Billy before he delivers a set of lyrics about a love that has gone cold – a good song. The first cover comes from an unusual source – Duke Ellington with lyrics by Don George (who more famously wrote “I’m Beginning To See The Light”) – but Billy re-works “Biggest House In Town” into a straight blues tune with some fine piano and organ work from Corey as Billy plays his cleanest guitar on the most conventional blues cut of the album. “Can’t Let You Go” was a 1974 Homer Banks tune written for Stax act The Soul Children; here it gets a deep soul treatment with string effects and some of Billy’s most torrid guitar. Billy doesn’t seem to have a lot of luck in his love life as “Love Nobody Else” follows on a similar theme, Billy’s guitar having some Santana references to these ears. A second song from an unusual source is “Chiseled In Stone”, originally a 1988 country hit for Vern Gosdin. Billy keeps a country ballad rhythm and adds some pleasant guitar touches over Corey’s piano on a song with strong lyrics that Billy puts across well. “I’m Yo Freak” adds some of the funk mentioned in the title and has the most distorted guitar on the disc, almost painful to listen to. In sharp contrast “Ready For Some Lovin’” rips along with Corey’s rock and roll piano and some lovely rhythm playing by Billy, a real foot-tapper. Billy’s final original “Alligator Farm” is a slow blues with Louisiana-referenced lyrics which recount a torrid sexual encounter with the daughter of the farm, Billy giving us more of his distorted guitar work. 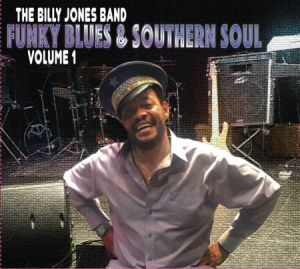 The album closes on an upbeat note with a song co-written by one of Southern Soul’s great songwriters, George Jackson, “Man And A Half” which Billy and the band deliver really well. This disc is a genuine mixed bag. In parts it is superb Southern Soul, in parts great blues but also suffers from some guitar that borders on the unpleasant, at least for this reviewer. The River City Blues Society proudly presents James Armstrong at 7:00PM on Saturday October 28 At the Capitol Street Sports Bar & Grill, 219 N. Capitol Street in Pekin, Ill. 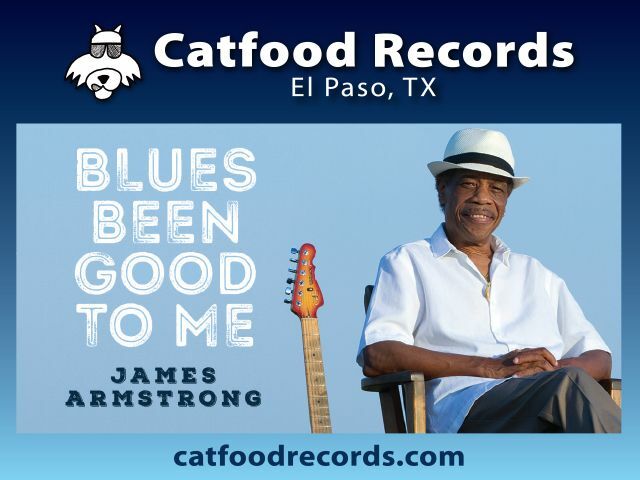 This is the start of the CD release party tour in celebration of James’ new album Blues Been Good To Me on Catfood Records. Admission is $5. Blue Monday Schedule: Oct 30 – Lionel Young.